With those few words you are welcomed to Le Cirque des Reves, The Circus of Dreams; and circus of dreams it is, though the title barely does justice to this compelling debut novel. Set within the turn of the nineteenth century, The Night Circus follows an ethereal circus of black-and-white striped tents as it tours the world. Twisted within the acrobats, contortionists, carousel, and Ice Garden are two young illusionists bound to one another in a contest that neither knows the rules to. 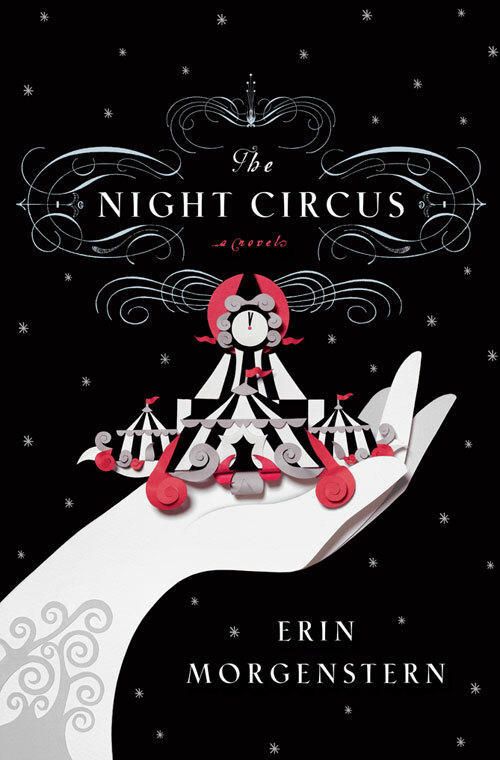 Told in alternating points of view, The Night Circus unfolds across a trio of time lines simultaneously: the lives of Celia and Marco separate, and yet together, Bailey's view as the contest between Celia and Marco reaches its climax, and that oh so odd second person perspective which reaches out to the reader as though they are the one discovering the circus. I, personally, loved seeing second person working so seamlessly as a part of the story. It brought me back to my childhood, and all of the 'choose your own adventure' style chapter books I used to devour. Although, I was taken aback when I first cracked open my ARC of The Night Circus many, many moons ago. The characters Morgenstern developed also had me tickled. I adored the Murray twins, and found that Celia and Marco were the perfect blend of structure and mystery to keep me turning pages, always eager to know more about them. Bailey's POV was a bit awkward for me in the beginning, only because it seemed like such a departure from the central hub of the story. Having now read the book numerous times, I think Bailey's thread is probably the one that keeps all of the POVs together. Slow burning romance, and a magical use of prose, entice you past that unconventional second person POV introduction, immersing you so completely into the world Morgenstern has created you can taste the caramel on the back of your tongue. Much like the reveurs, I did not want this novel to end, wishing to spend a bit more time with the circus.